Zaijan Jaranilla is "Gagam-Buboy" in 'Wansapanataym' This Saturday! The 2012 TV Series Craze Awards Child Wonder of the Year winner Zaijan Jaranilla will grace the succeeding episodes of the top-rating fantasy anthology "Wansapanataym" beginning this Saturday. 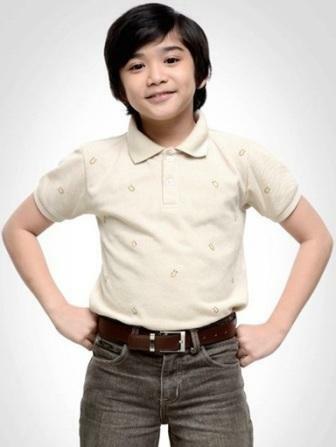 After the success of his top-rating primetime TV dramas in ABS-CBN like "May Bukas Pa," Ikaw ay Pag-ibig," and "Lorenzo's Time," Kapamilya child wonder Zaijan is set to return on the small screen this Saturday (January 5) to share inspiration and teach important life lessons to the whole family via his own "Wansapanataym" special. In an episode titled 'Gagam-Buboy,' Zaijan will play the role of Buboy, a young boy who is fond of playing with spiders. Will Buboy realize the importance of animals and insects when he is punished to become a human spider because of his bad attitide? Together with Zaijan in the 'Gagam-Buboy' episode are Yayo Aguila, John Judelei Junio, and Gerald Pesigan. It is written by Yam Tangco-Domingo and directed by Tots Sanchez-Mariscal. gwapo tlga ni Zaijan oh binata na talga at ang lakas ng dating....cute..